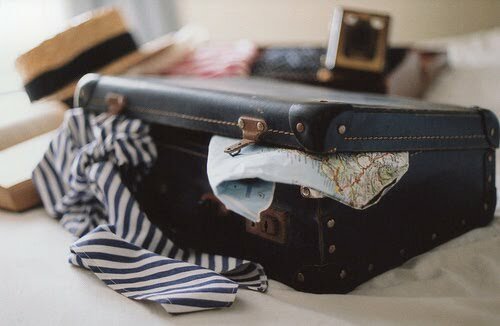 Now that the holiday season has officially kicked off, the stress of ever-day life is over and you have all the time in the world it is also the time to figure out what to bring on your planned getaways. I don’t know about you but I always seem to struggle with packing for my holidays. Personally I like to have several options when it comes to clothing, especially ones that are comfortable but still put together (for as far as that is possible). What I find works best its simply grab everything I think I might want to bring. Seriously, when I start packing the first 10 minutes are always spent by creating this big pile of things that might possibly end up in the suitcase. To make it a bit easier for yourself try to organise those piles; make one for all the tops you want to bring, one for all the bottoms, shoes, accessories etc. The key to successful packing is to make sure that you can mix and match most of your items together. This enables you to have a different outfit everyday while still packing light! Now during summer it might get a little more difficult to actually wear some items more than once, but summer clothes are usually lighter and take up less space anyway! During this stage you already have to get bit more selective, you should really try to create as many nice outfits as possible from everything that was selected during the first stage. I am the kind of person that needs to visualise, especially when it comes to clothing. Sometimes outfits turn out to be horrible when I try them on, or they turn out to be much better than expected. An outfit has to feel right, otherwise I simply won’t wear it. If you are less fussy about this you can totally skip this stage. However if you’re like me it’s better to actually try all the outfits on in order to make an even smaller selection of outfits. Many people often forget to pack things like accessories, the right lipstick or bag. This is something that never happens to me since I make sure to think of the details for every outfit. Especially when you’re going away for a longer time, which means less outfits, the key is to pack as many accessories as possible. Small details like a necklace or a lipstick can completely transform an outfit without taking up a lot of space in your suitcase. Now this can also be quite a tricky part, since it might take a few times before you really get to use your space efficiently. It really is something I tend to struggle with a lot as well, but practise makes perfect! There are so many tips and tricks on the internet on how to fold things in a way that won’t create creases, you just have to find the right ones for your personal preferences. Usually I tend to make a checklist for all the toiletries I use on a daily base. The best way to do this is to simply write down everything you used a day or two before, ever since I have been doing this I hardly forgot anything and what I forgot were things of less importance. Make sure to pack your carryon/hand luggage with all your important documents, passport and things you’re going to need during your journey!